The Median Sales price in Gilbert was $331,000 in the first quarter this year, up 5% YoY from last year’s $315,000 and 32% over the last 5 years. 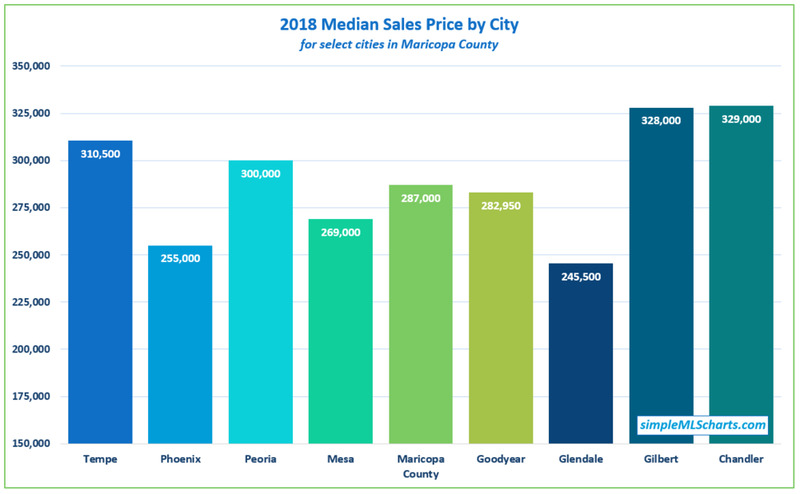 And much like the rest of Maricopa County, the largest increase each year seems to come during Q2, so we’ll have to keep our eyes open to see if the current quarter keeps pace. The Median Price per Square Foot in Gilbert was $164.07 last month, up 7% from $153.71 in Feb ‘18, and up 30% over the last 4 years, since $126.40 in Feb ‘15. The chart also shows that February was near the low point in each of the last few years, with a consistent price increase in the spring months. If that holds true again this year we are at the start of another price pop in Gilbert..